India (MNN) — Recently, 50 anti-Christian extremists attacked a congregation of believers as they were worshipping at a church in east India. Grand Rapids, Michigan-based Mission India heard of the situation after their church planting partner, Biren, was one of the congregation members who was attacked. The extremists assaulted and beat everyone in the church — including women and children — with sticks and rods. Believers are afraid to return to their homes. They have taken shelter in another village in the area. According to the CIA World Factbook, roughly 80-percent of India’s population is Hindu. Then Muslims follow at around 14-percent, and Christians only represent just over two-percent of India. The rest are of varying unspecified religions. India has come a long way as a nation in terms of influence and position in the modern world, but it is still considered a developing country in various regards. And proclaiming the Good News of Jesus Christ is so needed in India. Especially since one-fourth of all the world’s unreached people live in India. Mission India trains church planters like Biren who go into remote villages, cities, and urban slums with the Gospel message. To keep up-to-date on what’s going on with Mission India’s partners on the ground, and to know how to pray, you can sign up for their prayer list here! Mission India also currently has Children’s Bible Clubs underway in India, and could use your help to instill the Gospel in India’s future generation. Morsehead says, “Just one dollar a month can send a child to our Children’s Bible Club…. Right now we’re in full-swing of our Children’s Bible Clubs this summer. And everything is going really well with those, despite the extreme heat over in India! Pray for the Holy Spirit to give Biren and the other believers courage, strength, and compassion as they cope with living away from their homes. Also pray that God will transform the hearts of their attackers for His glory. Pray for Biren and the other believers as they seek shelter from persecution. Pray for strength, courage, and compassion from the Holy Spirit. 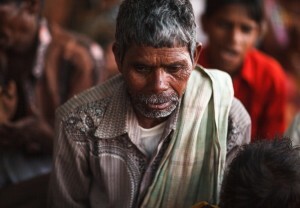 Pray for church planters being trained by Mission India to take the Gospel to slums, villages, and cities. Pray for the Children's Bible Clubs going on through Mission India right now, that the next generation of India would grow up with an increasing dependence on God.